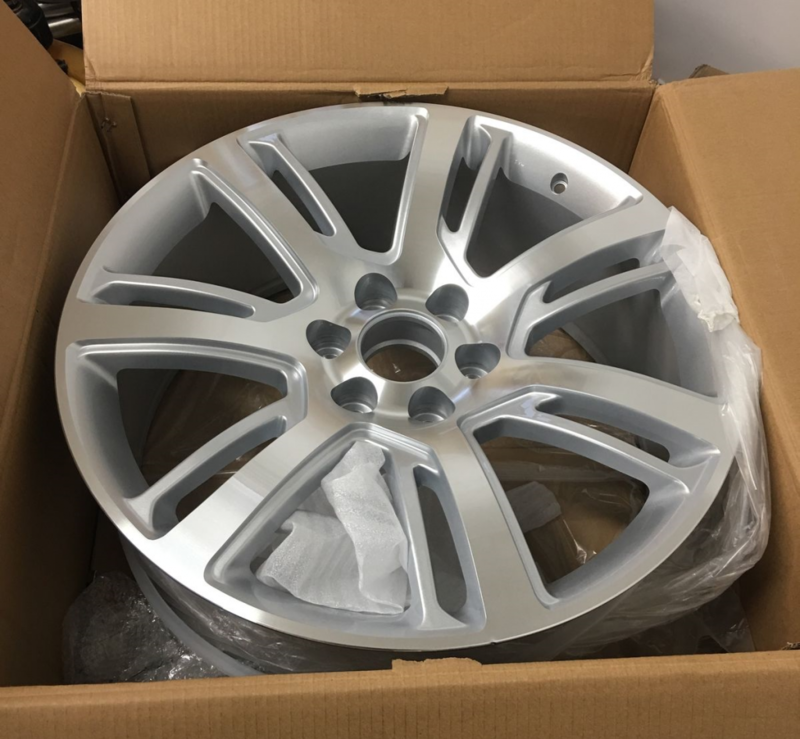 We Buy OEM WHEELS, FACTORY ORIGINAL RIMS, and STEEL WHEELS! STEP 1: Snap a few pictures of the wheel(s). Send the pictures to Santa Ana wheel at sell@santaanawheel.com. You can also text them to (949) 241-7987. Please include: make, model, size, condition, damage, etc. We will respond with questions or a quote on price within 24 hours. STEP 2: You can stop by our Southern California shop in Anaheim, Ca. The best time to drop by is between 8:00 am-10:00 am and 1:00 pm-4:00 pm Monday –Friday. This will insure you are in and out in a short amount of time. Please bring a valid I.D. We will issue payment for the quoted amount in the form of a check. *Drop off only required for retail. If the wheels have to be shipped, we can send you a prepaid shipping label. Please package the wheels as best as possible, putting a bag over them to protect the finish, using newspaper, bubble wrap, etc…and drop off to UPS. Once we receive the wheels in good condition we will mail you a check for the price agreed upon. The cost of shipping is factored into the quote. Santa Ana Wheel only purchases OEM/ORIGINAL WHEELS. NO AFTERMARKETS. The quote is subject to change if wheels are not as described or bent. Santa Ana Wheel cannot give a fair quote without at least one picture provided. The more information given the more accurate the quote will be. Santa Ana Wheel is not financially responsible to ship the wheels back if the customer changes their mind or the transaction is canceled by unforeseeable circumstances. 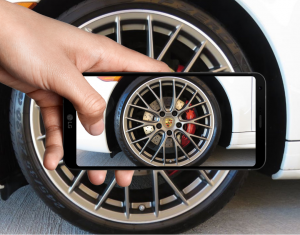 If your wheels have scratches or curb rash which was not visible in the picture, the quote will go down as our cost increases. Customer drop off is required for retail, Santa Ana Wheel cannot pick up the wheels from a residential location. If the wheels are bent or have noticeable movement (hop) the quote will go down, or we may not be able to purchase them at all. We accept tires with the wheels but only consider purchasing tires if the tread is under 500 miles. WE ISSUE PAYMENT BY COMPANY CHECK, PLEASE HAVE YOUR VALID I.D. WITH YOU OR ABLE TO SEND BY EMAIL. A+ NEW New from factory. A wheel that has never been mounted. A LIKE NEW A wheel that has been mounted, but only been slightly used (if used at all).Typical “A” condition wheel has been taken off directly from a new vehicle. A- VERY GOOD A wheel with very light scratches on the surface, but it is not noticeable and looks new from a short distance. B+ GOOD A wheel with very light and minor curb scratches that may not be noticeable from a short distance. B FAIR A wheel with noticeable but minor curb scratches.The finish is still good as you would expect from regular usage. B- ACCEPTABLE A wheel with noticeable curb scratches and some clear coat issues. C POOR A wheel with combination of surface issues, but it’s not cracked or bent. This kind of wheel is suitable for chroming or to be reconditioned. If you have any questions or inquiries on our policies or how to grade your wheels, please feel free to give us a call at (714) 239-1122.